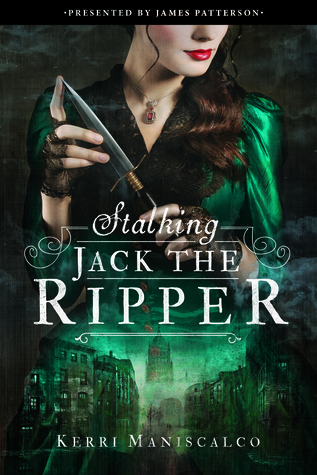 STALKING JACK THE RIPPER debuted at #1 on the New York Times Bestsellers list, and #3 on the eBooks Bestsellers list. holy wow. i am feeling so overwhelmed with love and gratitude and cannot begin to thank everyone enough for making this possible. thank you to Barbara Poelle for always believing in my writing, to Jenny Bak for shining my story up and being a dream editor, to James Patterson for making SJTR part of his imprint, and to the entire team at JIMMY books for all of their hard work. Sabrina, Sasha, Peggy, Erinn, Tracy, Gabby, Aubrey, Cat…and to EVERYONE who’s put so much love into this novel, thank you. critique partners, beta readers, my family and all my loved ones in New York and Tennessee, i am infinitely blessed. and thank YOU, dear readers. your excitement and enthusiasm and willingness to shout from the interwebs rooftops made this dream a reality. thank YOU. Four words, twelve letters: I HAVE AN AGENT!!! You guys… I can’t believe I’m actually typing this post out. I mean, sure I’ve dreamt about writing something like this for the last two years, but I seriously can’t believe it’s real. I mean, it’s REALLY real. HOLY MOTHER. I HAVE AN AGENT. A real, live, agent is my partner in publishing crime. And it’s not just ANY literary agent, it happens to be my DREAM* agent. How lucky am I?! I queried Barbara Poelle in July of 2011 with a YA futuristic thriller after reading (and loving) WITHER and seeing she represented the work. I checked and rechecked and did a million neurotic things before I fired off my query letter. Then I ate a bunch of dairy-free chocolate and questioned my life. Not really. But sort of. Write-On-Con (an online writing conference) was going on and Barbara (and fellow agent Holly Root) participated in a live Q&A session. If I wasn’t sold on how awesome Barbara was before, I was then. I thought she was funny/knowledgeable and would be the PERFECT advocate for a writer. I hoped, hoped, hoped for the impossible; she’d want to throw a chair and by chair I mean bar stool out a window to represent my work. Fast forward another week or so. I see that it’s a message from Barbara. My brain runs through a million + 1 different scenarios in my head. Then I remember: The Irene Goodman Literary Agency only responds if interested. GASP. Could it mean… a FULL REQUEST. SQUEEEEEEEE!!! So I acted like a professional successfully keeping my inner Tom Cruise from jumping on my inner Oprah’s couch and sent off the requested material. And I waited. But while I was waiting I did that thing you’re not supposed to do… I kept revising. I got some feedback from another agent, then revised some more. Taking a chance, I sent the revised copy to Barbara. She gladly accepted it. While perusing Writer’s Digest for info, I came across a webinar Barbara was teaching. It was either going to help me stand out, or flag me as a complete nut, but the class sounded AWESOME and I quickly signed up. After another revision** Barbara jokingly accepted my latest version. A few weeks later she emailed me to let me know it was coming up in her reading queue. Of course I panicked. It was from Barbara… And it was… a rejection. But you guys, it was SO GOOD. Like if rejections could cuddle hug you, this one SO would. I trusted what she said and agreed with her comments 1,000%. Knowing that she’s the kind of person I want in my corner, I rolled my writing sleeves up and got to work on another book. I sent Barbara my full manuscript. (She told me to directly submit my next work, which was AWESOME of her.) Then I proceeded to bite my fingernails and by bite my fingernails I mean drink vodka and sent a handful of query letters out. Requests started coming in, as did a few rejections. I sent the requested material and tried to not check my email psychotically throughout the day. I proceeded to spaz/get nauseous/almost fall down the stairs. Because… OMG MAYBE SHE REALLY DID DISCOVER HOW TO LIGHT HER EMAIL ON FIRE AND SHE LEARNED BY BURNING MY MANUSCRIPT BECAUSE IT’S THE WORST THING SHE’S EVER READ. Paranoia is a real thing guys. I harassed told my mother about my “email and fire” theory. She wasn’t convinced. I tried the same thing with my friends and sister and they didn’t buy it either. Then I sent a few thousand emails to my writing pal Anita Grace Howard, where I was openly panicking. Because OMG the phone call was TWO DAYS AWAY. That’s like a thousand years in a writers imagination. Thankfully, Anita talked me off my ledge and I calmed down. Barbara was every bit as awesome as I imagined she’d be. Within two seconds my nerves subsided and it was like talking to someone I’ve known my whole life. Her enthusiasm for my project was INCREDIBLE, and HOLY GUACAMOLE it’s like she has brain scanning superpowers. She totally got my book and characters, and my mind was officially blown. Apparently, she hearts me and my book as much as I heart her and her agenting superpowers. 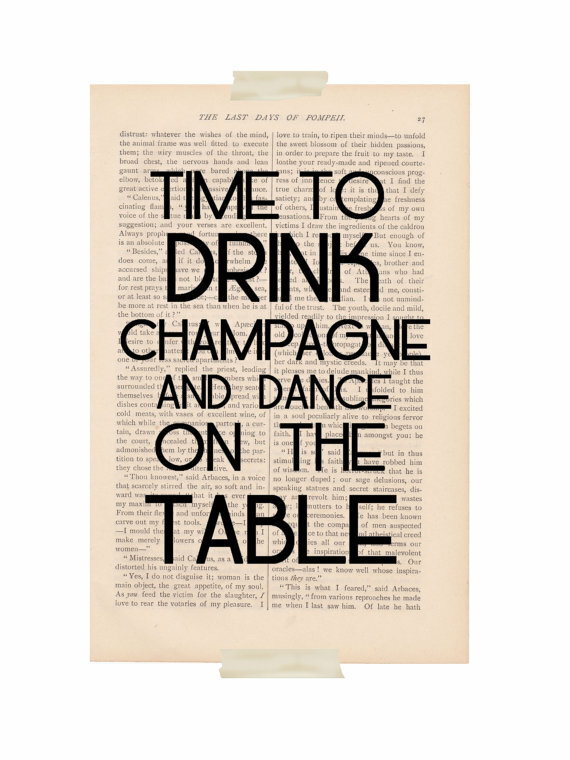 So it’s official, I am now represented by Barbara Poelle of the Irene Goodman Literary Agency!!!!!!!!! I could not be happier, I KNOW that Barbara is the perfect agent for me. I’m BEYOND thrilled to be on this publishing journey with someone like her on my side. Here’s the moral of the story: If you have a dream, never give up. EVER. Keep learning, keep pushing, keep striving to reach it. But don’t forget to celebrate the little achievements along the way. None of this would’ve happened if I stopped after that first book didn’t work out, or after that hundredth rejection I received, or any other bump in the road that emerged along the way. I promise you, having that person call and be equally passionate about your work TOTALLY erases EVERYTHINGEVERYTHINGEVERYTHING crappy that has ever come before it. *By “dream agent” I really mean they should be the RIGHT agent for you and your work. **Please note: I also ended up taking a Writers Digest Webinar by Barbara in November 2011 and it was one of the best experiences. That’s the ONLY reason why I sent her a second revision. It really opened up our communication lines, be sure to attend the next one on April 12th, 2012! Barbara knows her stuff! !